Professor Anne Kelso AO, is CEO of the National Health and Medical Research Council. She has held research positions including at the Swiss Institute for Experimental Cancer Research, the Walter and Eliza Hall Institute of Medical Research and the Queensland Institute of Medical Research. From 2000 until 2006, she was also Director/CEO of the Cooperative Research Centre for Vaccine Technology. 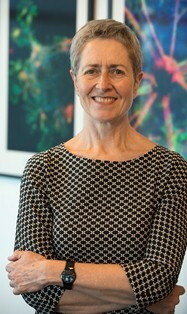 She returned to Melbourne as Director of the WHO Collaborating Centre for Reference and Research on Influenza from 2007 until she took up her role with NHMRC in April 2015.